Ex President Olusegun Obasanjo has asked President Muhammadu Buhari to stop using dwindling crude prices for lack of performance. 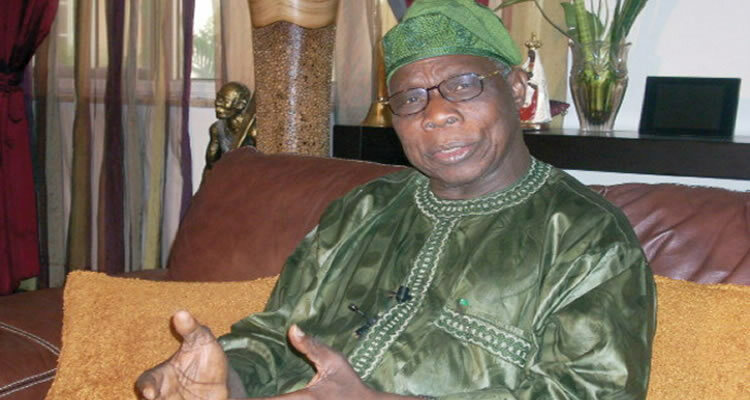 According to Obasanjo, he met worse when he took power in 1999, but made the best of it. He reminded Buhari that unlike his administration that met a paltry $3.7 billion, in the coffers, Goodluck Jonathan left behind a whooping $30 billion. Obasanjo expressed angst against those asking him to account for recovered Abacha loot, describing them as illiterates and silly people. Obasanjo, who stated this in an interview, weekend, said the role of his office was to facilitate the recovery process and not how it was put to use. He said: “They said the money recovered from Abacha, I should account for it. What stupidity! The man who asked for it, the man who gave the judgement or who answered them are all silly, with due respect. “I don’t keep account, all Abacha loots were sent to Central Bank of Nigeria, CBN, and every bit of it was reported to Minister of Finance. My job was to write where we can get help to recover the money. “Every penny that comes out of it went to CBN, so if they want to know what happened to the money, they should call CBN governor or call the Minister of Finance.